Medicine and law overlap in a death investigation calling for an autopsy to determine the manner and cause of death. Listen to two chief medical examiners talk about their work and careers. Explore the medico-legal autopsy procedures, and find out what virtual autopsy is all about! Pathologists—medical doctors who specialize in anatomical or functional abnormalities of a human body—with a special forensic training work as medical examiners and conduct medico-legal autopsies. Meet Drs. Marcela Fierro and David Fowler, who speak about their career and experiences as the chief medical examiners of Virginia and Maryland, respectively. 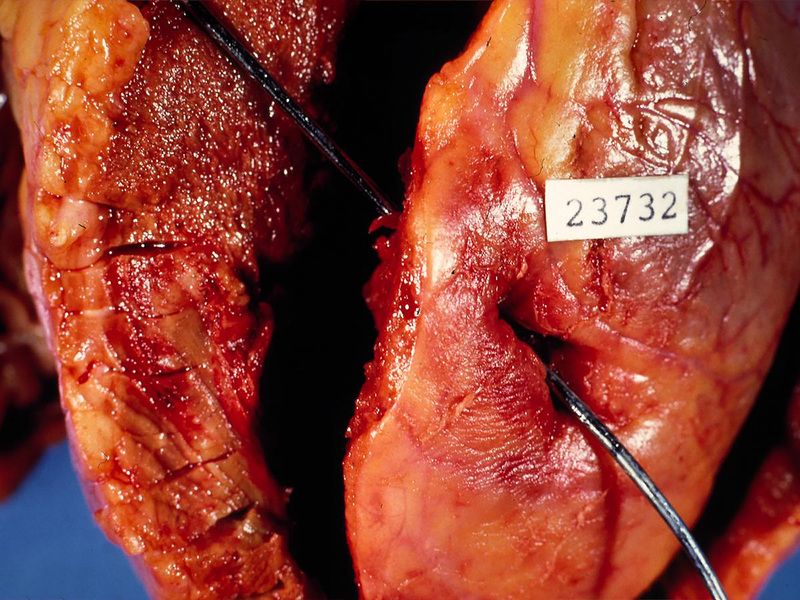 Explore the purposes of a medico-legal autopsy and learn about select autopsy pathologies from the two chief medical examiners' perspectives. Why and how is an autopsy performed? Find out from the experts the general autopsy procedure and its purpose. Take a close look at these eyes—look at your own to help you compare and note differences. 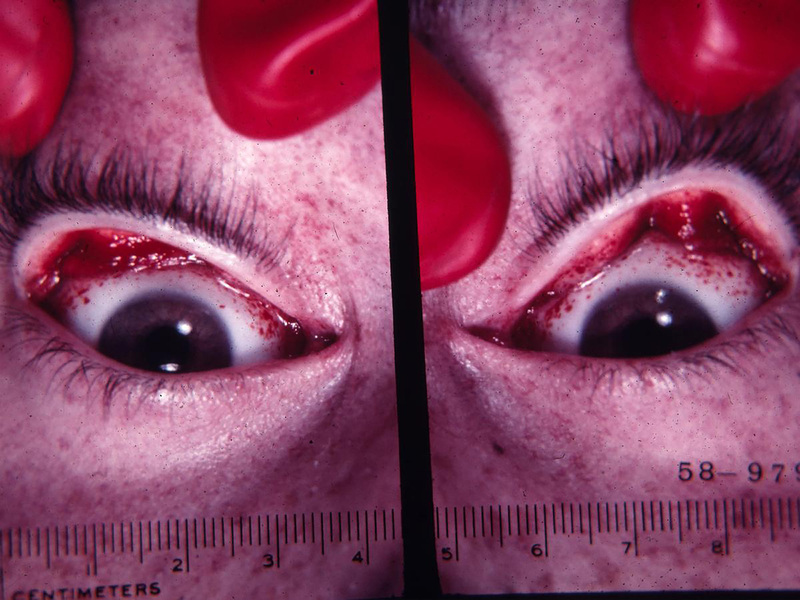 Do you see the tiny red dots on the eye's upper white part and the inside of the eyelid? 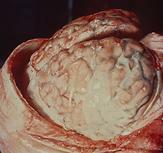 This condition is called petechial (tiny dots) hemorrhage (bleeding). 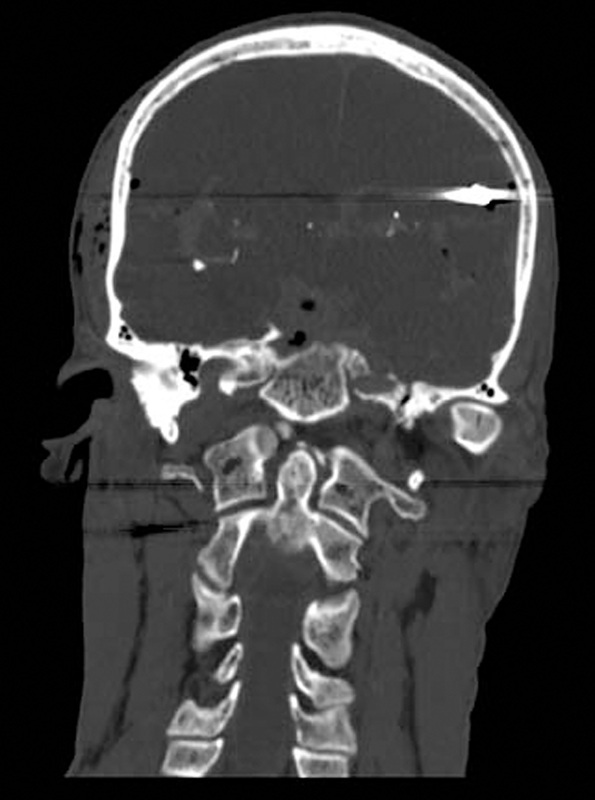 What does this tell a medical examiner? When, during an autopsy, does a medical examiner find such a condition? 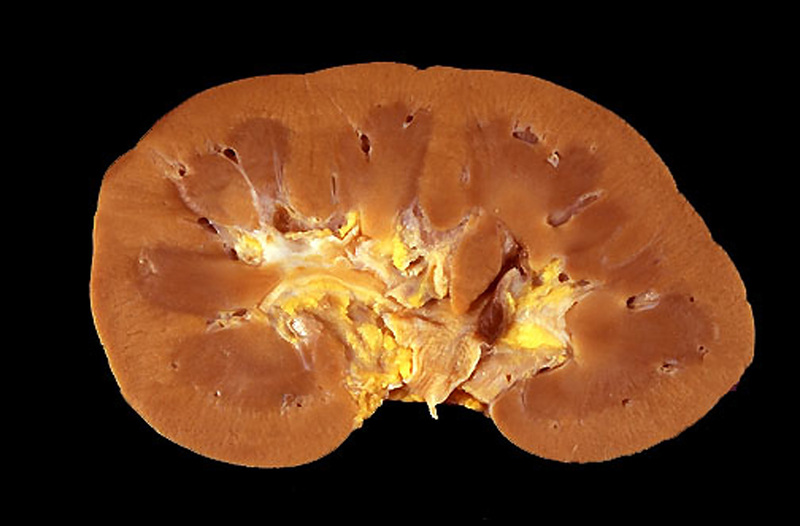 Here are the cross sections of a healthy kidney and one with adult polycystic kidney disease. Take a closer look at each and note their differences. 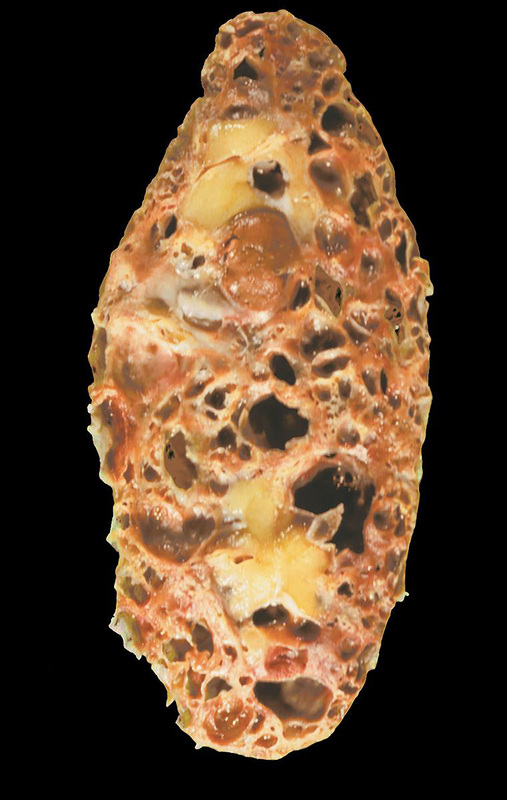 What is polycystic kidney disease and how does it happen? How and when does a medical examiner examine kidneys during an autopsy? This heart has a perforated wound caused by a bullet. 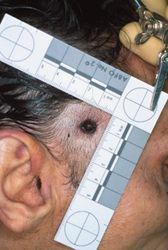 What does such a wound tell a medical examiner? How and when does she or he examine the heart? 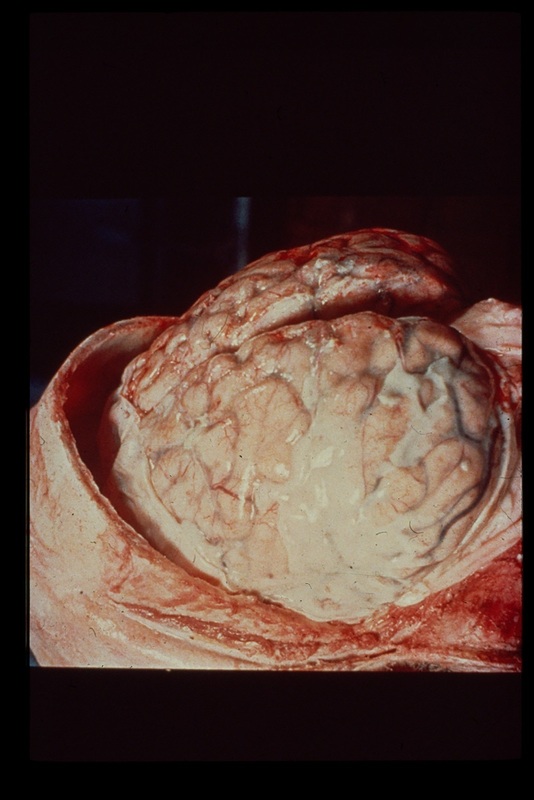 This brain shows an abnormal condition—yellow-tan clouding of the meninges, the three layers of membranes covering the brain—caused by a viral or bacterial infection. 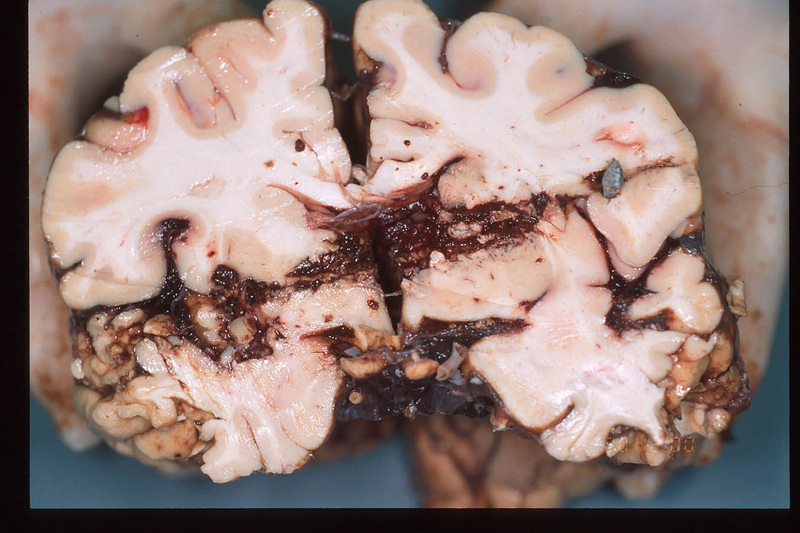 What does a medical examiner do with this finding? 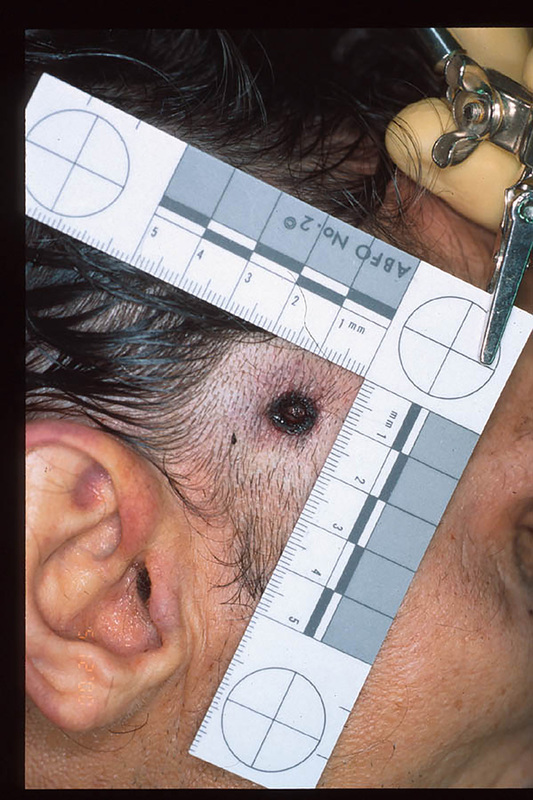 How does the infection affect people conducting the autopsy? Colonel Elizabeth J. Rushing, M.D. 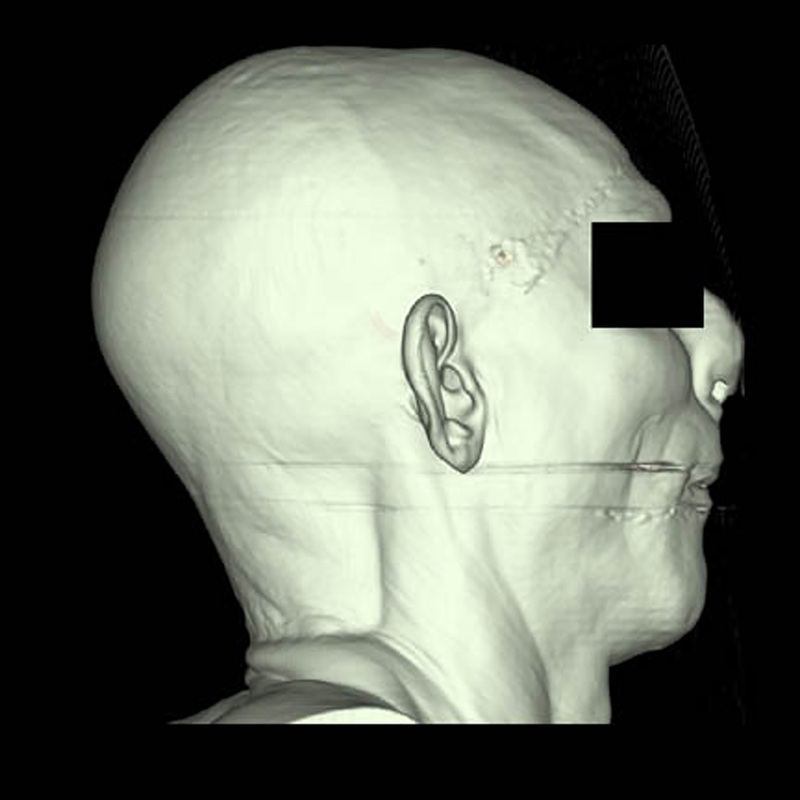 Find out how high-tech imaging technologies are applied to a medico-legal autopsy in searching for the cause and manner of death. What is virtopsy and what are its benefits? Drs. 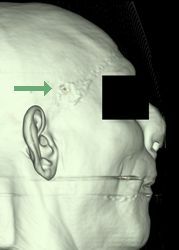 Richard Dirnhofer and Michael J. Thali and their team of specialists at the University of Bern's Institute of Forensic Medicine in Switzerland use multi-slice computed tomography (MSCT) and magnetic resonance imaging (MRI) in comparison with a forensic autopsy to determine how well MSCT and MRI can document and analyze gunshot wounds. 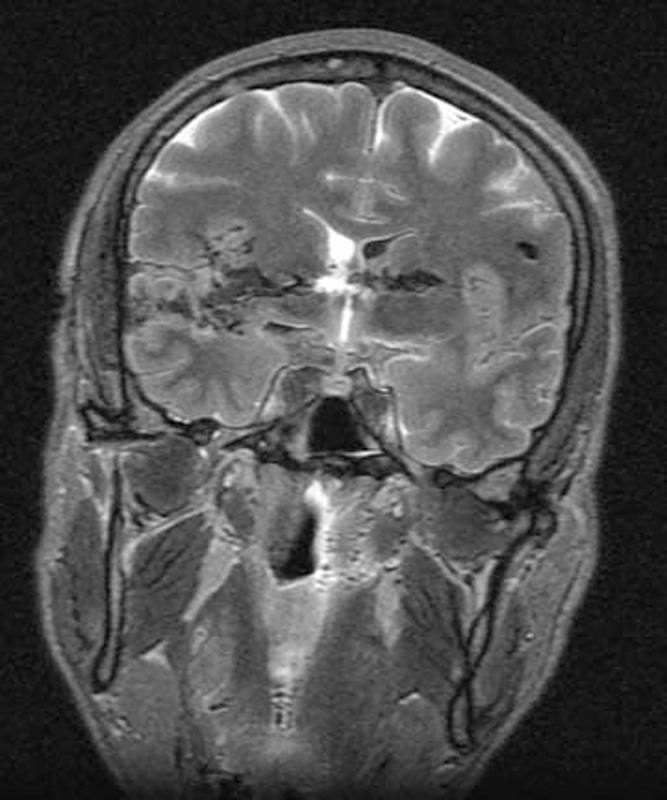 Compare the photographic, MRI, and CT images from a case and explore how imaging technology applications may assist and supplement traditional autopsy. Medical Views is based on the "Autopsy Revealed" multimedia interactive station at the Visible Proofs: Forensic Views of the Body exhibition on display at the National Library of Medicine, Bethesda, Maryland from February 16, 2006–February 16, 2008. Visitor and guided-tour information is available online at VISIT. If you have questions about visiting Visible Proofs, contact us at NLMExhibition@mail.nih.gov or 301.594.1947.